Thanks to all of you who have joined in our first five years of PryorWild Tours. Our 2018 season has come to an end and we are about to begin our 6th year…2019. Our tour season begins in May and runs through the end of September. 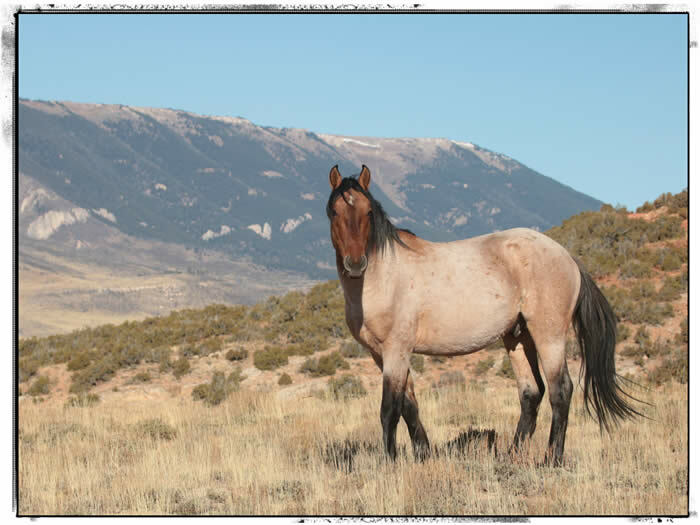 Our 2019 calendar is already filling up, so please contact us and begin planning for a wild horse adventure of your own! Leaves from the Mustang Center at 9:00 a.m.
Travel 20 minutes to the base of the Pryors, then head up the mountain via Burnt Timber Ridge Road. The views going up are fantastic and the view from the top is incredible. 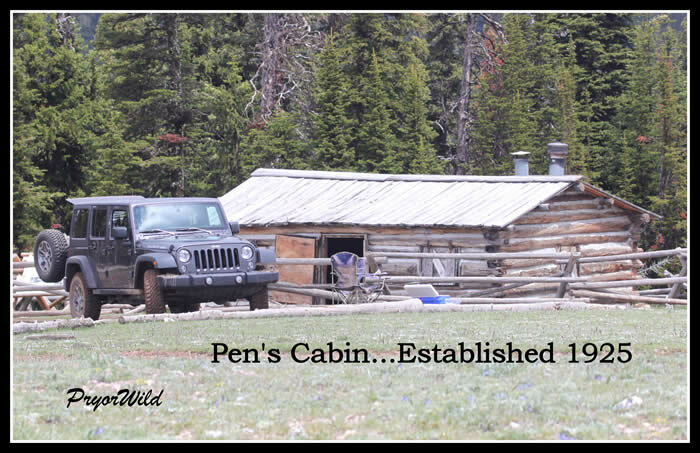 The trip is rugged, but you will be comfortable in our Jeep as we climb to our 8400 foot destination. Along the way, the sights will be fantastic. Plenty of photo opportunities. Mustangs may be visible all along the way. 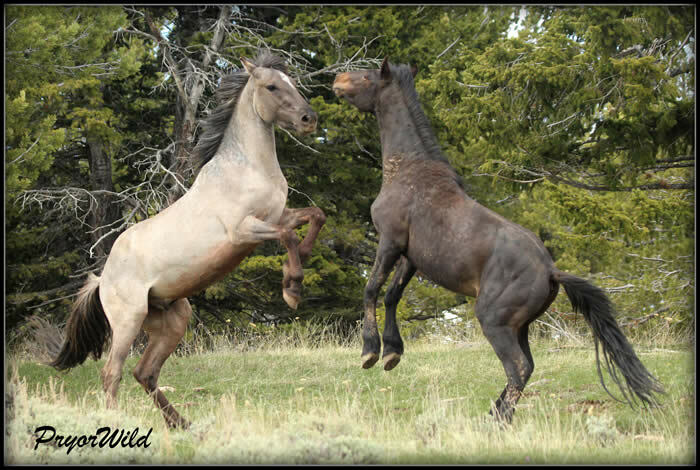 There is nothing quite like seeing wild horses running! Groups of mares and stallions in their separate yet co-mingled style of existence. 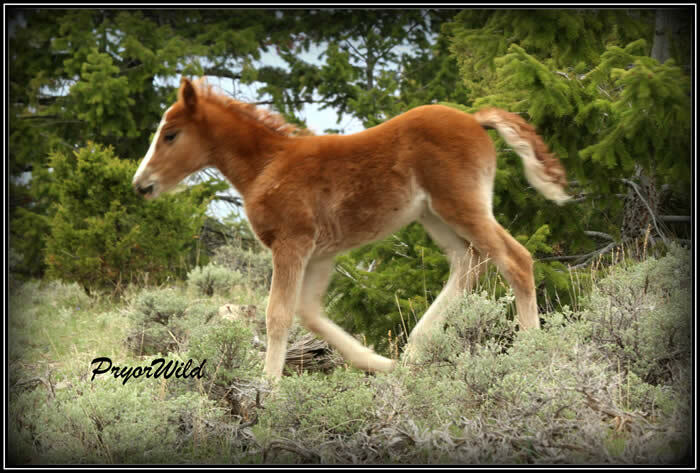 The foals began making their appearance in April. Foal season continues throughout the summer. Other animals make the Pryors their home and are often visible during the day. We’ll find a nice place to have lunch and most likely will be joined by several mustangs which will keep a safe distance but yet allow you to be within their world. A note of thanks for our wonderful visit with you and the mustangs. In the 5,000 miles we traveled across eight states, our visit to you was the major highlight. I look forward to getting back at some stage. 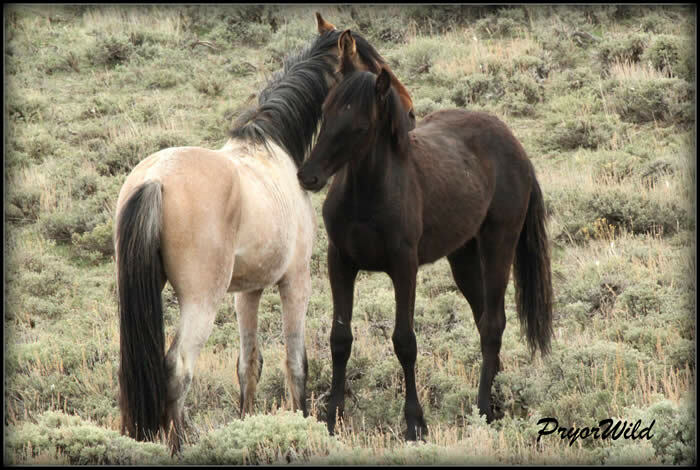 In September 2013, we had the best vacation ever - visiting the Pryor Mustangs. With Steve and Nancy as our guides, we saw close to 100 horses that day! It was a once in a lifetime experience. So many times I was on the verge of tears from the beauty of the horses and scenery. Watching the bands interact – and especially Cloud standing his ground against several bachelor stallions - was incredible.Steve and Nancy are extremely warm and welcoming. 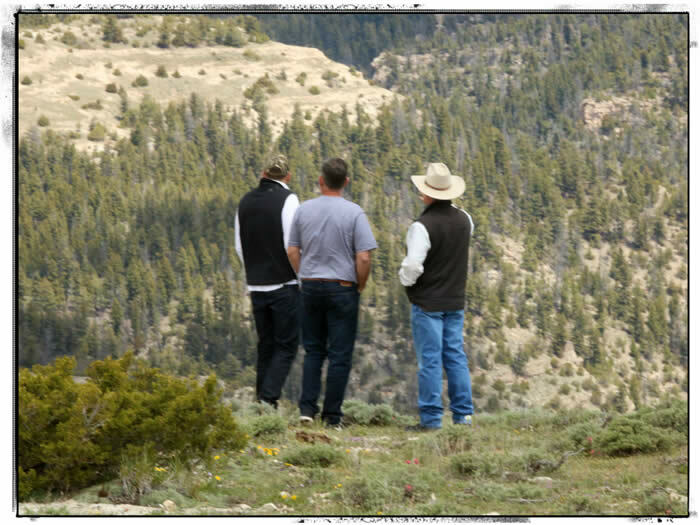 Without their knowledge of the horses and the mountains, we never would have had the trip we had. Can’t wait to visit again. See you in June! Truly an experience like no other! I HIGHLY HIGHLY HIGHLY recommend doing the tour up into the mountains that the Mustang Center offers. It's breathtaking! Not to mention all of the shared knowledge and answered questions you get along the way and right in the field. They really do know everything about the horses! Thank you again for such an amazing experience! I will certainly be back! Amazing place, beautiful horses, and stunning views. The tours are well organized and everyone is so friendly. This truly is a trip of a lifetime for any horse lover...especially if the mystery of the mustang is something that interests. A very special experience. Took the tour up the mountain today with Nancy, she had awesome knowledge of both the Pryor horses and the area. The opportunity to see these amazing animals and watch them interact is one I will never forget. Lunch was great, an all round fantastic trip the any animal lover must do! Also stayed in the bunkhouse overnight, couldn't have had better hosts. Incredible experience seeing Wild Horses - it's a must do for anyone visiting Wyoming! 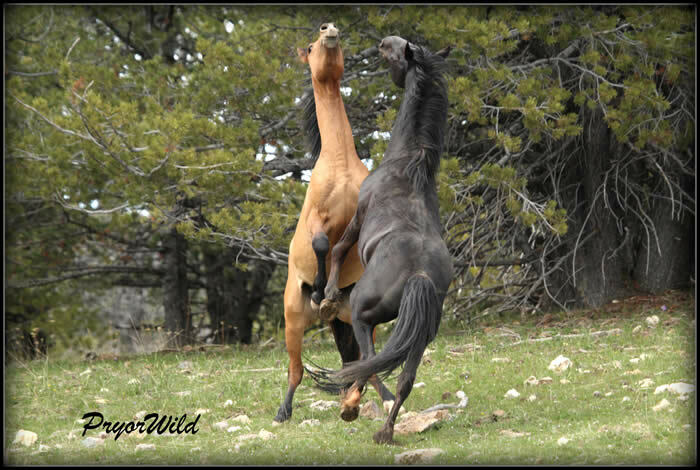 It's hard to fully describe what an amazing day we had with the Pryor Mountain Mustangs. I would highly recommend booking a tour well ahead of your trip with Steve and Nancy - they are extremely knowledgeable about the mustangs, make sure you get up and down the mountain safely (definitely not something I would recommend trying to do on your own!) and are simply wonderful people. Logistically, be prepared for a long drive up a rocky path up and down the mountain. You will not regret booking this incredible experience. The horses are truly incredible and the scenery behind them makes the experience even more surreal. Spending the day with Steve and Nancy is the cherry on top of an unforgettable day!! 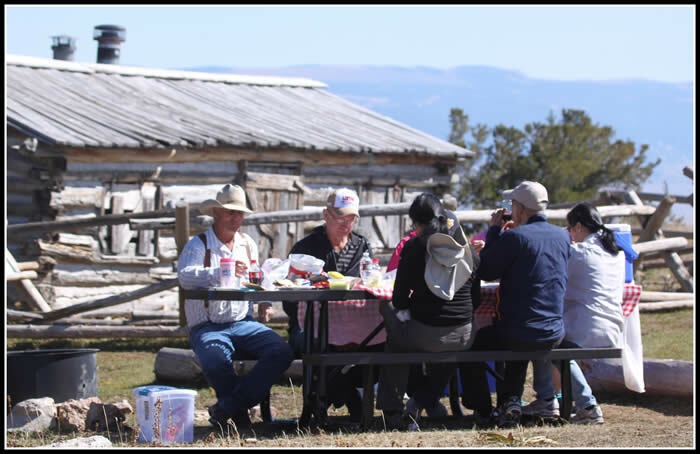 We will forever remember and treasure our day with the Pryor Mountain Mustangs! Take a Walk on the PryorWild Side! May through October: Book now for 2019. Standard departure is 9:00 a.m. Contact us to inquire about tours for children under the age of 18. The weather in the Pryors is extreme. Plan for the weather with gear that will keep you as comfortable as possible. It is far easier to take off layers than need layers! We reserve the right to cancel trips at the last minute due to inclement weather. Please communicate with us on or right before the day of your tour to stay up-to-date on weather conditions. Please inform us of any special dietary requests prior to your trip. A camera with a zoom/telephoto capability is ideal. 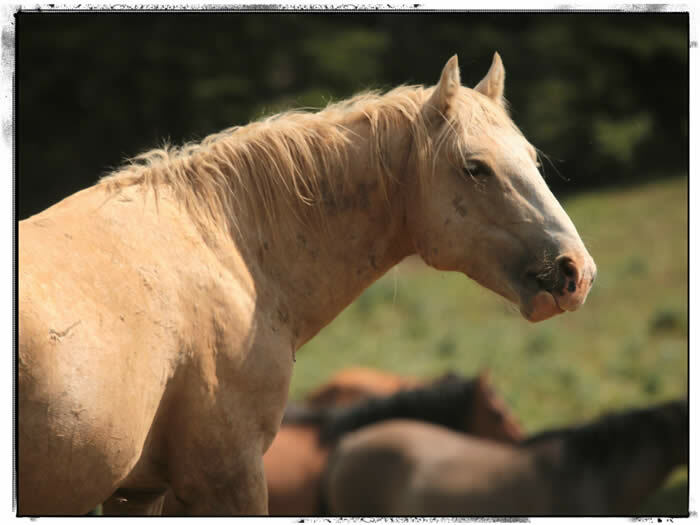 As the weather changes, so does the pattern of wild horse behavior. In the spring and the fall, the horses are spread out over the horse range. This time of year often requires some hiking to find the horses. But what a reward when we do find them! Please discuss this with us as you make plans to visit. We are now offering “The Bunkhouse” for our guests. 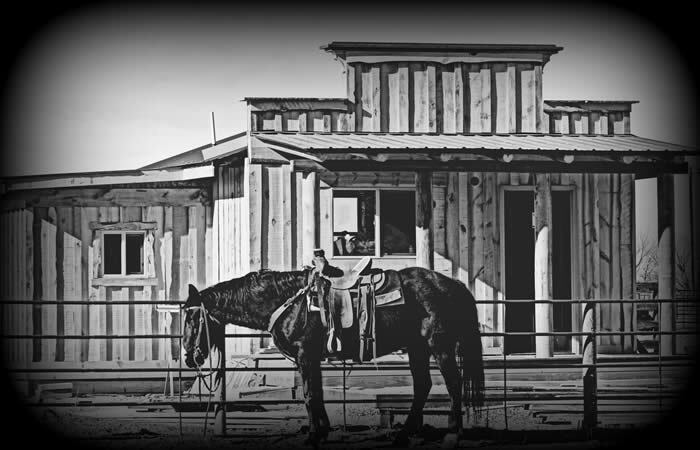 Completely modern facility located on our ranch. Convenient to town yet out in the country. Beautiful view of the mountains! Queen bed with a twin bed upon request.